Frances Hodgson Burnett (1849-1924) was born and grew up in Manchester, but after her father's death she emigrated with her mother to Knoxville, Tennessee, in 1865. Five years later her mother died and , like many other women of her time , she began writing short stories for popular magazines to support her family. Her first novel, That Lass o' Lowrie's (1877), brought her instant fame on both sides of the Atlantic. 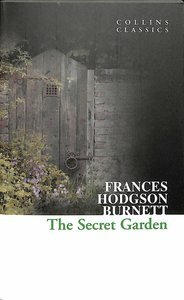 Her book The Secret Garden is her most popular title and was made into a full length movie.